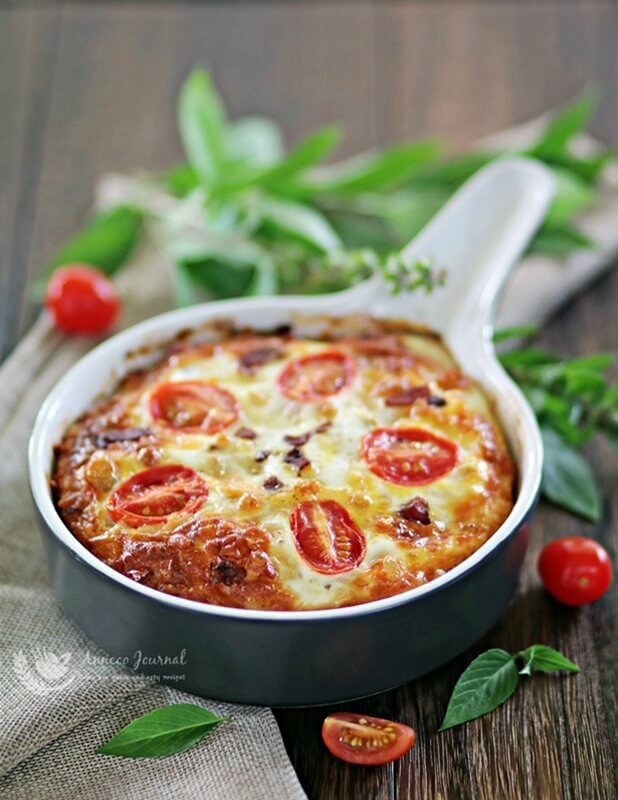 This easy and simple delicious baked tomato egg cake is great for breakfast to start your day or as a light meal treat. 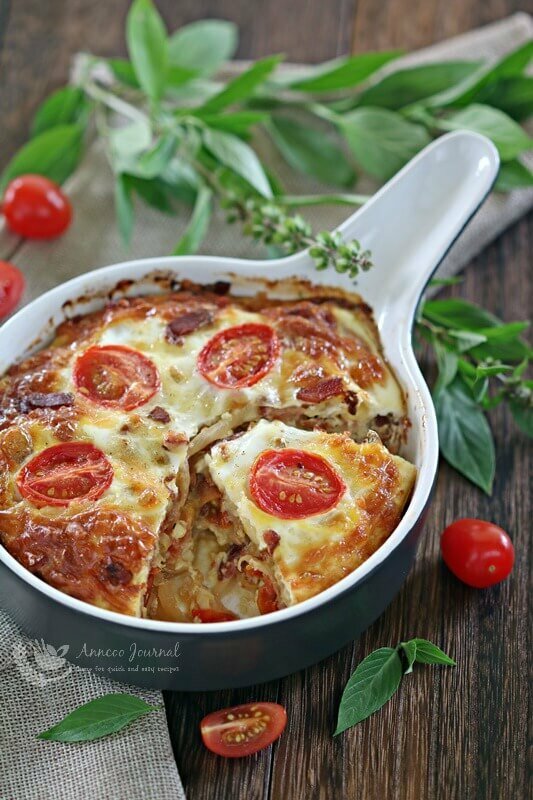 It’s very tasty with the combination of bacon, onion and mozzarella cheese. 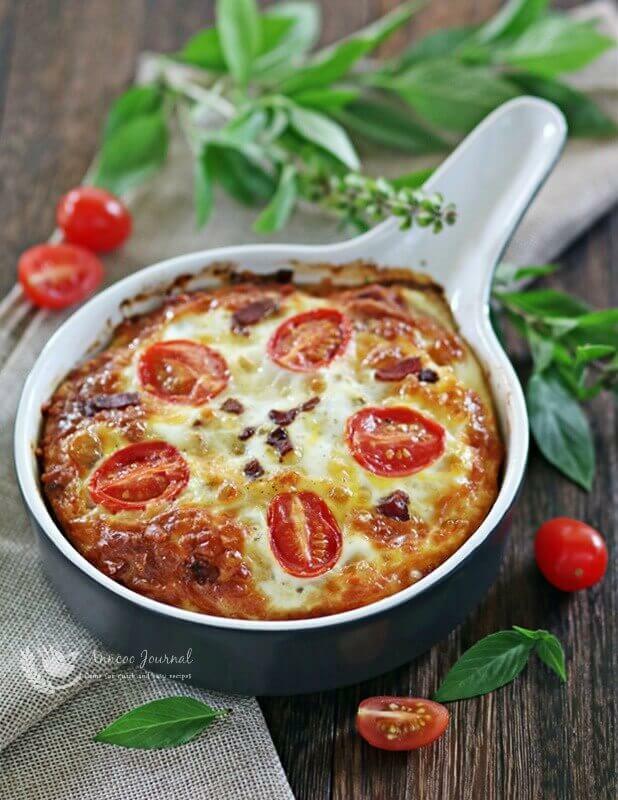 The tomatoes give a moist texture in the baked egg. 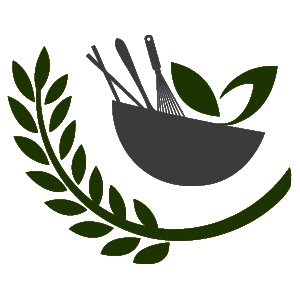 For a healthier choice, add in some baby spinach or basil leaves in the baked tomato egg cake. Great for breakfast to start your day or as a light meal treat ~yummy! Grease a small baking dish with some butter (about 5 inch) or use aluminium foil cups. Fry bacon strips to crisp and dish up onto kitchen paper to absorb excess oil, set aside. Clean frying pan and add about 2 tablespoons butter under medium heat. Saute shredded onion till soft. 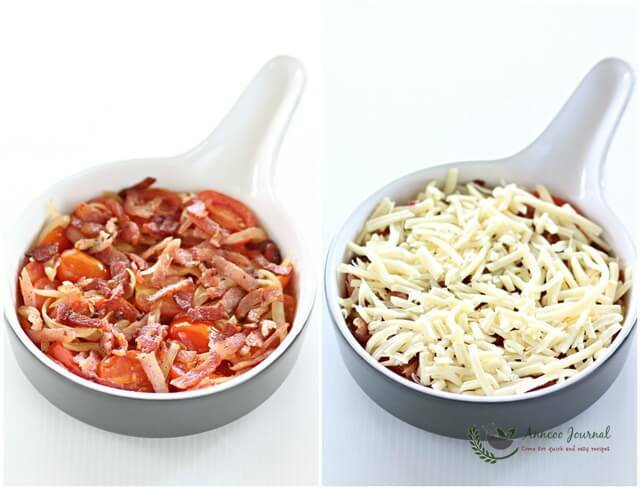 Pour in tomatoes (keep some for topping) and continue to fry mixture for another 2-3 minutes. Then pour all the tomato mixture into baking dish. Scatter morzarella cheese on top and pour beaten eggs over it. 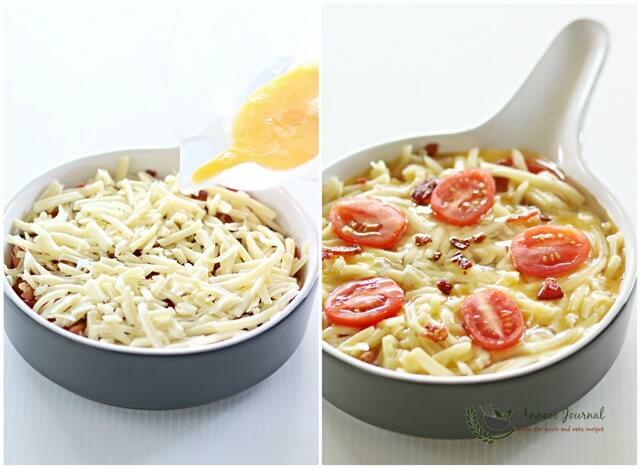 Place a few half tomatoes on top as garnishing with a dash of pepper. Bake in preheated oven at 180 deg C for about 30 minutes or to eggs are just set. Serve warm. 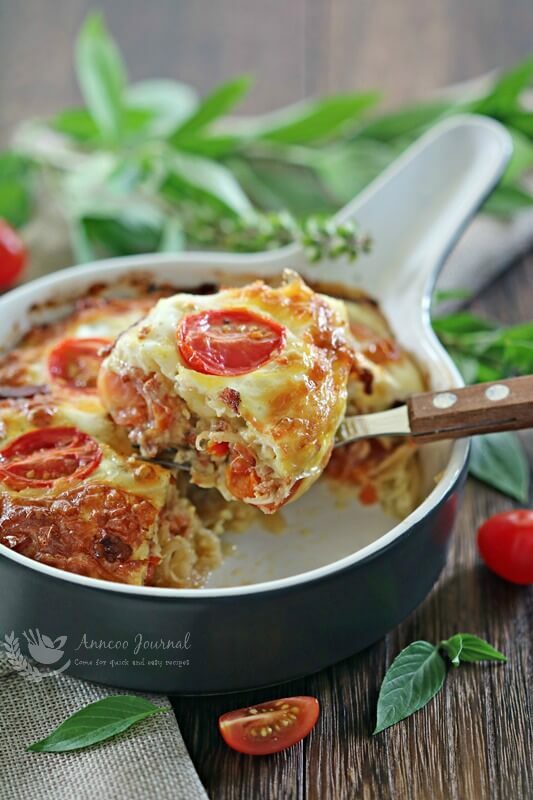 It’s a delicious baked tomato egg cake. This is yummy!!! I will prepare it at home. My son will love it. And it’s very healthy. What a beautiful dish! It’s perfect for a hot summer day. ooh yummm, I have to make this for my egg hating son LOL, love those cute little baking dish!